Slow As The South: Sleepover! 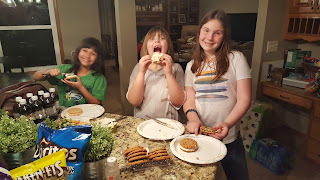 The girls had a sleepover with their cousin Friday evening. Pizza, monster cookies, and Star Wars!